May 18: Non-instructional Duties | Learn. Share. Reflect. Efficient systems for performing non-instructional duties are in place, resulting in minimal loss of instructional time. This component of standard 5 learning environment expresses the importance of developing and teaching classroom procedures to maximize time for learning tasks. Just as clear directions are important to ensure success on an assignment, non-instructional duties ensure time for learning along with order and predictability in the classroom. Not only do students know what is expected of them when a teacher takes the time to develop and teach their students non-instructional duties s they can also be self-advocates in their learning environment and their learning environment is more productive. While some non-instructional duties such as grading and taking attendance are solely the teacher’s responsibility, other non-instructional duties can be taken on by the entire class in order to maximize instructional time. 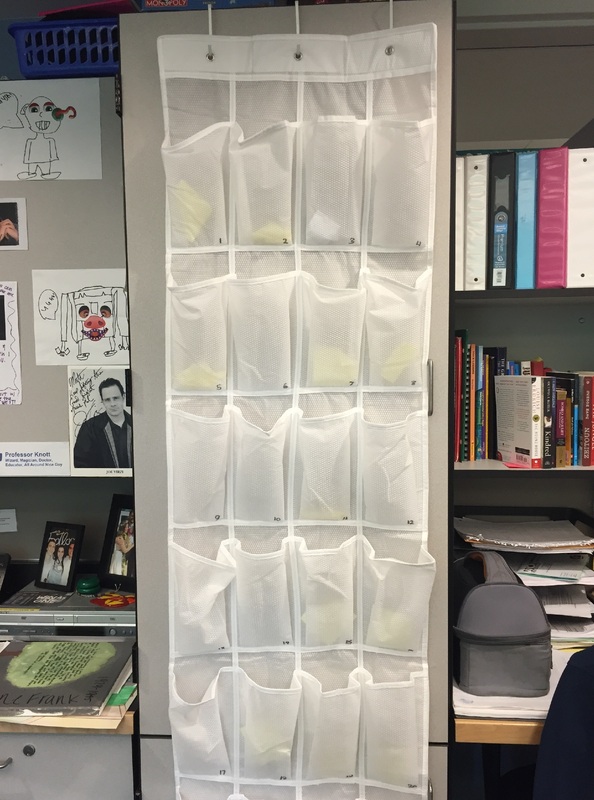 An example of a collaborative non-instructional duty that maximizes time for learning is creating a filing system to keep copies of daily work for students who were absent and teaching students to go to the file if the day they return to class to collect materials they missed in their absence. This system allows students to take initiative and enhances time for learning because students know what to do and where to go to find materials from when they are gone rather than going to the teacher at the start of class, making it difficult for the lesson to begin for everyone else. 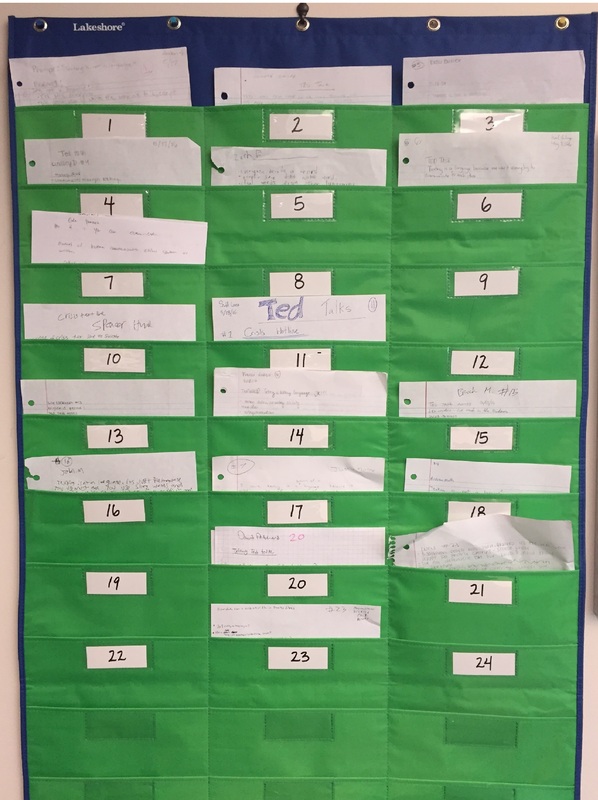 This is one example of a non-instructional duty that I have observed, and have tired, which allows the teacher and students to work together to accomplish important aspects of learning, such as collecting missing materials to say on track, that could hinder the learning environment. Image 1.1 Filing system for returning graded work. classmates’, the teacher created this procedure to streamline the process and taught the students how to use it. This maximizes instructional time because students are collecting their own work before or even after class which allows the students to stay on task during the class period without conversations about grades interrupting them. This also also enables the teacher’s time for supporting students in their learning because they do not need to return work to students during instructional time. Image 1.2 Pocket chart for collecting student work. students. 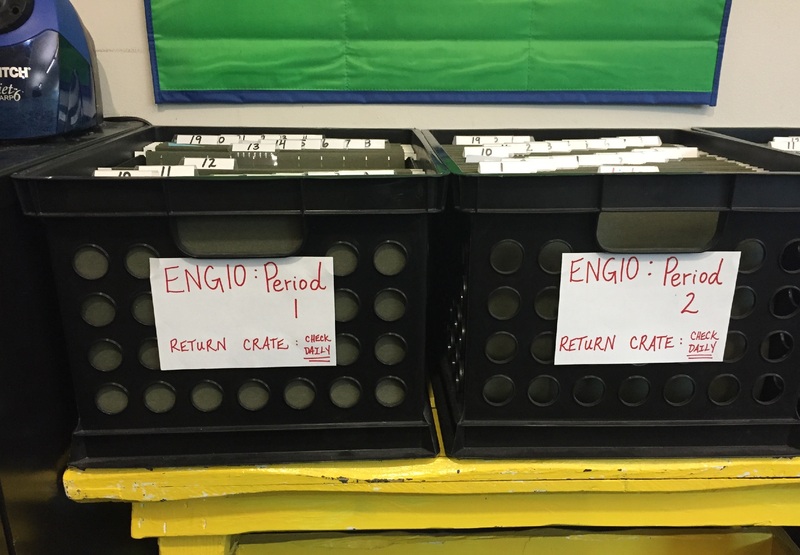 Just like the filing system for returning work, the students are responsible for turning in their work on their own at the start or end of class (depending on what the assignment is). This pocket chart system not only benefits the learning environment, it benefits the teacher’s time for grading and returning work because the work is in a numerical and consequently alphabetical order which streamlines the feedback, grading, and filing process. Possibly my most favorite non-instructional duty solutions for cellphone management is cellphone “daycare”. Two of my mentors have a hanging shoe rack on the wall with each shoe compartment numbered; each number is assigned to a student and the students are taught, from the first day of class, to put their cellphone in their numbered compartment. This brilliant system eliminates cellphone related distractions and disciplinary issues in the classroom while maximizing time for learning. Students are much more engaged in the learning tasks as they aren’t “sneaking” to check their phones and respond to texts throughout class time. Students also aren’t worried about someone sending a snapchat of them without permission which before cellphone daycare caused arguments in class. This system is a gift to the teacher because it eliminates one major distraction from the classroom, can help the teacher take attendance quickly, and determines who might have their cellphone in their pocket at the start of class, enabling the teacher to gently remind the students of the policy. Over the course of my internship, and over the last 6 years I have spent in the classroom, I have learned a great deal about the learning environment and the importance of thinking through non-instructional duties to boost instructional time. I already utilize bell-work to streamline the attendance process, a class handout file for absent students to collect work they missed, and group norms and expectations for all group work; each of these has helped me to maximize time for learning in the classroom. One area I need to work on is cellphone management. I plan to borrow the idea of cellphone daycare from my mentors, add it to my class syllabus, and use it in my classrooms next year. I plan to continue to find ways to streamline non-instructional duties and will continue to seek out ideas from my colleagues as issues arise in my classes. I already have a very limited time in my classroom with my students and want to organize my classroom in such a way that the time we do have is maximized and so I am able to complete all of my non-instructional duties.